The hellmouth in Sunnydale may have been destroyed, but there’s still one in Cleveland! And don’t forget all of the other monsters and Big Bads that the Scoobies and their army of slayers are continuing to fight in the “Buffy” comics (see Season 8 and Season 9). But first, before we explore “Buffy the Vampire Slayer” online, we need to go back — “back, to the beginning,” as the First-as-the-Master once put it to a deranged Spike. And at the start of “Buffy” Season 1 (which takes place after the original film), she is Buffy Summers — and she has just moved from Los Angeles to Sunnydale, California, to start her sophomore year of high school. Anything else we state will be giving away the rest of the story, which continues today. Needless to say, Buffy and her friends navigate the challenges of high school, college, and adult life while fighting the “forces of darkness” at the same time. In fact, the genius of the show was not the superhero-fight-the-bad-guy-of-the-episode cliche — actually, it was the quality of the writing and the growth of the well-developed characters from naive teenagers into full-fledged people (and all the drama that it entails). The battles against evil were actually the sub-plots of the show — the struggles against the “vampires, the demons, and the forces of darkness” were actually metaphors for the issues with which the characters (and the viewers!) were dealing in their daily lives. In just one example, Buffy fought a teenager in her high school who drank a potion, turned into a demon, and abused his girlfriend. The episode was not actually about Buffy defeating a demon — it was a commentary on the issue of domestic abuse. And these are just a few of the season arcs. There are countless others over a series of episodes or within individual ones. Still, the premise always rests upon a single, original idea: Take the dumb, blond girl in any horror film who is always chased and then killed by Jason Voorrhees, Freddie Krueger, or any other one of the host of insane or otherworldly murderers. Now, what if she fought back — and won? That was the genesis of “Buffy the Vampire Slayer” so many years ago. And it is a theme that still resonates today. After all, the program has inspired a fan base — including the publisher of this website! — that is still as rabid and passionate as ever. For that reason alone, among many others, “Buffy the Vampire Slayer” has developed a cult following that persists even years after the show ended its seven-year run. 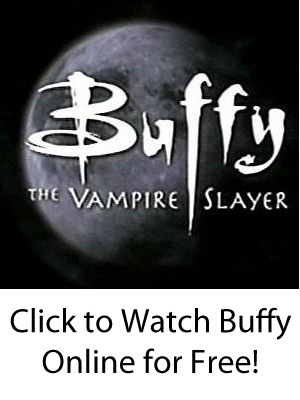 Here at BTVS Online, it is our intention to celebrate the show, offer insightful commentary on its themes in our “Buffy” blog, and to provide visitors with the resources to purchase “Buffy” DVDs and “Buffy” merchandise easily. We love “Buffy,” “Angel,” and the related shows — and if you are viewing this website, we’re sure that you do as well.